Nothing can stop 19-year-old welding apprentice Andrew Champion from smashing his career goals, and 2017 is certainly going down as a monumental year. Andrew has been selected as part of the Tool Blacks team and is now on his way to represent New Zealand at Worldskills Abu Dhabi 2017. Andrew won gold in the BOC Gas sponsored welding section of the national Worldskills competition in 2016. 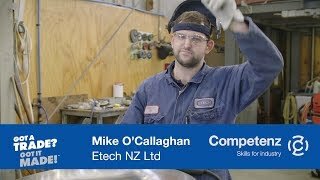 After winning the WorldSkills gold medal, Andrew was selected to join the Tool Blacks, New Zealand's representative team for the WorldSkills Abu Dhabi competition in October 2017. Talented young people like Andrew from 76 countries and regions will compete in Abu Dhabi in 50 skill competitions including automobile technology, refrigeration and air-conditioning, mobile robotics, welding and joinery. Andrew commenced his apprenticeship with RCR Energy Ltd in Dannevirke when he was 16 early in 2014, and he could complete this year. "Working through the unit standards always makes you think about how much higher you can go." he said. "Doing an apprenticeship is a great way to learn to believe in yourself. Don't let anyone tell you can't do what you want to do. I can travel the world as an engineer, and I want to see where it takes me." 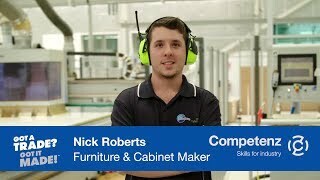 Representing New Zealand in Worldskills Abu Dhabi is a dream come true for Andrew. RCR Energy Ltd is very supportive of Andrew, and this will be the company’s third Welding Tool Black. There will be countless hours of practice required by Andrew to prepare for the competition, and this cannot occur without good support from the employer. Francisco Albert-Vidal in Spain founded Worldskills International. The continent was in severe shortage of skilled young workers to help it rebuild from the Second World War. The first national competition took place in Madrid in 1947. From small beginnings, Worldskills has grown substantially. Under the representation of team Tool Blacks, New Zealand has competed at Worldskills for over thirty years and continue to showcase the best young talents in the country.